Last time that I saw HELLYEAH at the Ace of Spades, Sacramento, in 2015, it was all about the high-energy music: last night, it was the music, and more: one helluva light show. 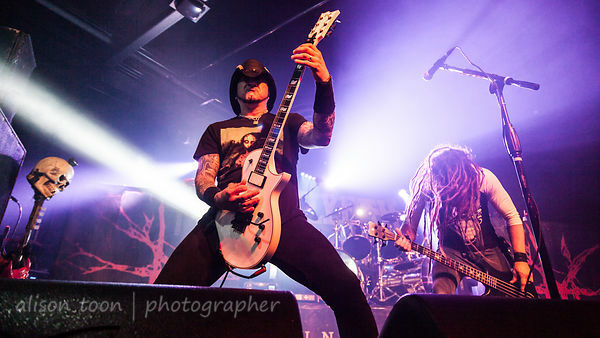 And what a show... "supergroup" (yes, they are a group, and yes, they are super... and yes, their lineup includes members who previously made musical history in other bands: Chad Gray with Mudvayne, Vinnie Paul with Pantera, Tom Maxwell with Nothingface). 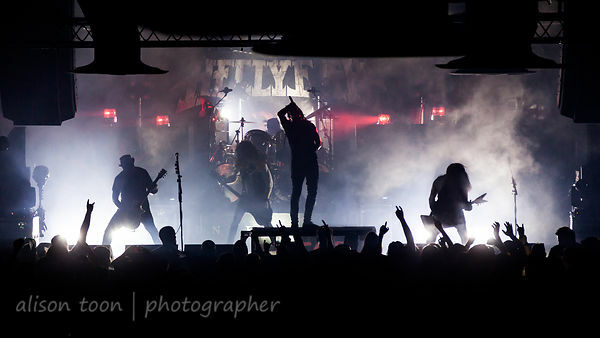 Together with Kyle Sanders on bass and Christian Brady on guitar, they bring us heavy-metal-hard-rock with an intense, driving heartbeat, tough and heavy guitar and bass, and a huge dose of non-stop energy. 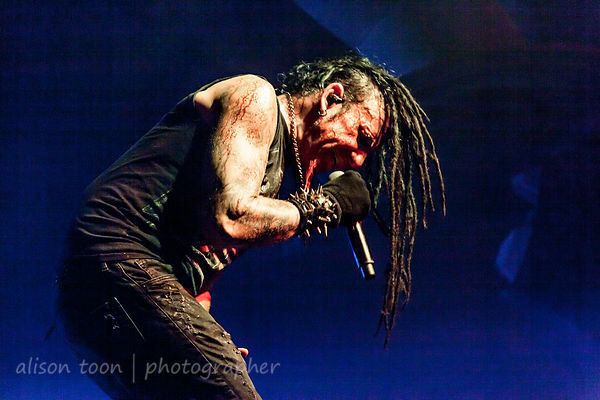 Chad Grays vocals are always strong, and range from intense, fast and gritty to smooth and melodic. 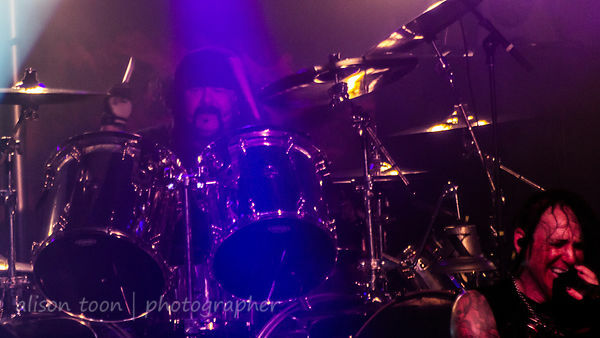 Vinnie Paul is the first of the band to arrive on stage, behind a drum kit so tall, and so high, that you had to go to the back of the room to see a glimpse his happy, welcome face, but even if you can't see him, you know he's there, all evening, with every beat. 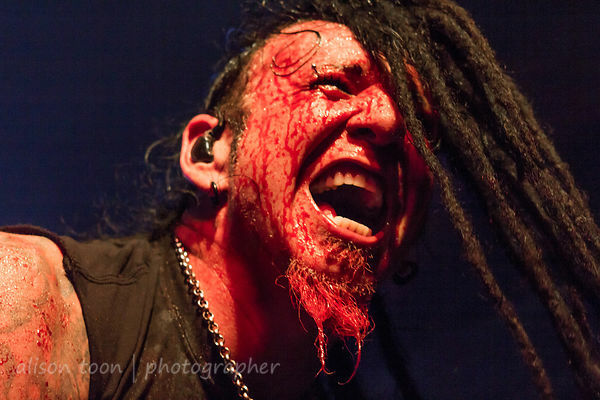 The rest of the band step onto the stage, and Chad Gray arrives, blood all over his face, dripping from his goatee... I think it was fake, there were no obvious wounds, but this is metal, right? Touring the latest album, Unden!able, the setlist included not only the heavier, aggressive HELLYEAH songs that the band are well-known for, but the recent cover of Phil Collins' I Don't Care Any More (probably the finest-ever cover of a Collins' song, IMHO) and the latest song that's receiving a lot of airplay, Love Falls, both from Unden!able. I've seen them several times since 2014 (Aftershock 2014 being the first) and each time, I enjoy the show more, and from the reaction of the crowd, I'm not alone. One thing that strikes me: these guys are happy together on stage. They are having as much fun as the audience. 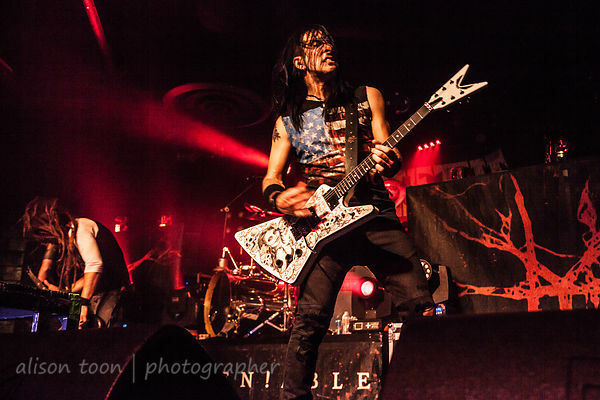 This USA tour is huge, and takes in several festivals too: check out the tour page for full details and HELLION deals. For many more photos from the Ace of Spades, 14th June 2017, see the gallery: click here!